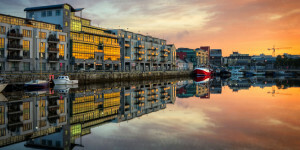 Galway on Ireland's west coast along the Wild Atlantic Way is a lively, arty city and one of Europe's trending holiday destinations. 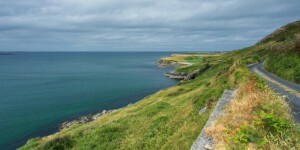 Nestled throughout the country of Galway and Connemara; Selfcater.com provides a haven of picturesque holiday cottages and vacation homes in dreamy settings surrounded by stunning tracks, trails and white sandy beaches. The house lays nestled amongst the 12 bens literally on the wild Atlantic Way. Wake up every morning to the sound of the Atlantic and the beautiful unspoiled views. Take a sauna followed by a swim with the sea being only steps from your door. Take th..
Cuan Caol is a four bedroom self catering bungalow with wonderful sea views over Galway Bay in the Gaeltacht area of Spiddal, just 1km outside the town. It boasts beautiful gardens and breataking scenery. Self Catering Chalet located in the heart of Carraroe that can sleep four to five people. 20 minute walk away from the famous Coral Strand and a 7 minute walk to Caladh Thaidhg Pier. Modern and convenient Galway City ApartmentJust a 3 minute stroll to the city centre.A spacious ground floor apartment in the heart of Galway CityNestled on a quite street with it's own private access boasting ..
Tucked away in the village of An Spideal 15km from Galway city, Folan Accommodations presents a choice of two properties.A 4 Star Bord Failte approved self-catering stunning accommodation set on private landscaped gardens, ..
Beirteach Bui Bay is a newly renovated and delightful cottage which is situated overlooking the bay and with the Twelve Ben's mountain range as a backdrop.A must have location for that total getaway holiday.There .. This scenic cottage is near the village of Letterfrack in Western Ireland and can sleep six people in three bedrooms. This ground floor apartment lies in the village of Tully in County Galway and can sleep two people in one bedroom. This stone cottage is on the edge of the town of Oughterard in County Galway and sleeps four people in two bedrooms. Set a few miles from Roundstone, on Innishee Island, this detached cottage in County Galway sleeps six people in three bedrooms. This three bedroom house in Lettermore, Country Galway is able to sleep up to six people in comfortable and welcoming surroundings. This semi-detached cottage is set just yards from the harbour in the village of Cleggan, County Galway and sleeps six people in three bedrooms. This semi-detached cottage is on the outskirts of the village of Clonbur near to Cong in County Galway and can sleep four people in two bedrooms. This delightful detached cottage is situated on the wonderful Renvyle Peninsula some two miles past the village of Tully and can sleep five people in three bedrooms. This is a charming, detached cottage just one mile from the seaside village of Spiddal in County Galway located on Wild Atlantic Way and can sleep six people in four bedrooms. This terraced cottage is located opposite the harbour in the village of Roundstone, County Galway, sleeping 7 people in 3 bedrooms. This detached cottage is located near the village of Newbridge and can sleep five people in three bedrooms. This ground floor, detached holiday home is situated a 10-minute walk outside Carraroe in Connemara, County Galway. It can sleep six people in three bedrooms. This charming, detached cottage sits two miles from Spiddal in County Galway and sleeps 3 people in 2 bedrooms. This charming, detached cottage sits in a rural position close to the village of Rosmuc in County Galway, and can sleep 7 people in 4 bedrooms. This beautiful, detached cottage near Dunmore, County Galway, sleeps six people in three bedrooms. This charming detached cottage near Ballygar, County Galway, sleeps six people in three bedrooms. This detached cottage near Carna in County Galway can sleep up to six bedroom in four bedrooms. This delightful thatched cottage near Woodford, County Galway, sleeps six people in three bedrooms. This holiday cottage is situated in the village of Roundstone, and sleeps six people in three bedrooms. This charming, detached cottage sits in the village of Carna, County Galway, and sleeps seven people in three bedrooms. This cosy, detached cottage is situated on Lettermullen, an island off the west coast of Ireland, in County Galway, and sleeps six people in three bedrooms. This single storey detached cottage is located close the village of Ballindereen near Kinvara in County Galway and can sleep three people in one bedroom. This delightful detached cottage is situated six miles from the medieval heritage town of Athenry in County Galway and can sleep twelve people in four bedrooms. This detached bungalow is located on the outskirts of the village of Carraroe and can sleep ten people in five bedrooms. This lovely detached cottage is located in the village of Roundstone and can sleep five people in two bedrooms. This ground floor cottage is located on the outskirts of Carraroe and can sleep five people in three bedrooms. This semi-detached cottage, next to the owners home, is located near to the village of Tully and can sleep sixteen people in six bedrooms. This wonderful, detached cottage situated a short walk from the town amenities of Loughrea in County Galway, can sleep six people in four bedrooms. This charming, semi-detached cottage in Clifden, County Galway sleeps six people in three bedrooms. This detached cottage close to the seaside village of Tully, County Galway sleeps eight people in four bedrooms. This semi-detached cottage is located next to the owner's own property, 2.5 miles from the village of Carna in County Galway and sleeps 5 people in 3 bedrooms. This detached barn conversion is located close to the town of Loughrea and can sleep four people in two bedrooms. This lovely detached cottage is set on a holiday village, one mile from Clifden in County Galway and sleeps six people in three bedrooms. Sleeping seven people in four bedrooms, this simple, comfortable detached cottage with sea views is in a rural location a few miles from Carna in County Galway. This detached cottage is located just outside the village of Tully in County Galway and can sleep nine people in four bedrooms. Galway is a lively, arty city and one of the most favoured holiday destinations in Europe. There is always lively entertainment on offer and plenty to see and do. Selfcater.com offers the biggest choice of approved holiday homes in Galway city and the West of Ireland. Our head office is based on Dominick street in Galway city. For help with your self catering accommodation call in to see us.